White interiors aren’t stark and cold all the time. If you’re repainting, consider using white paints that appear warm, antique, ivory, and greyish. This French-inspired living used a warm white paint over a cooler shade on its walls. 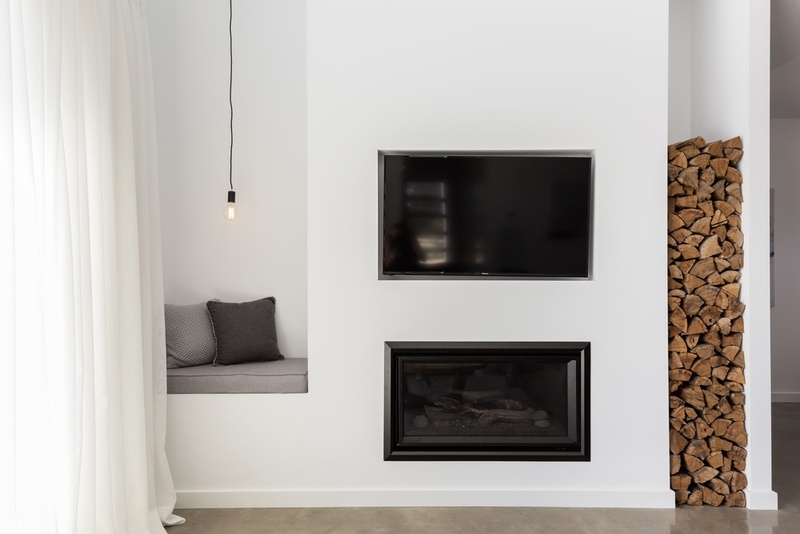 It resulted in a serene space with fewer distractions. White interiors are a flexible canvass. 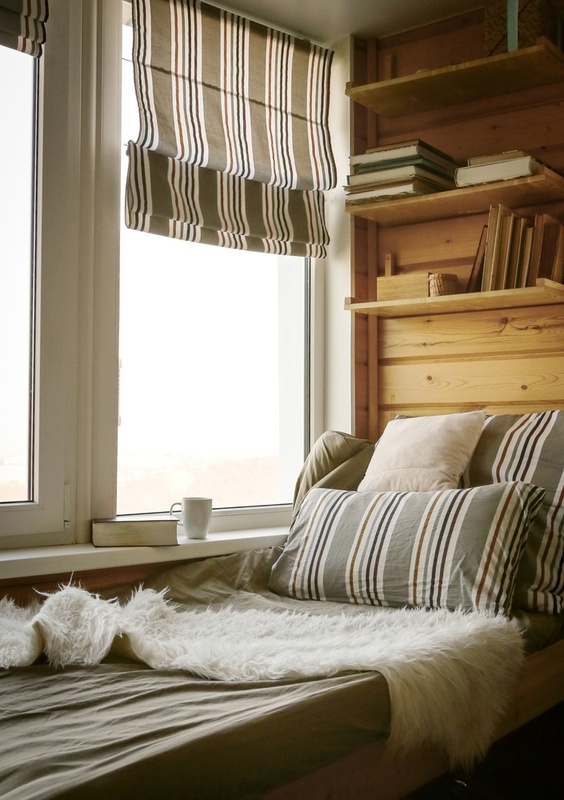 This winter, use cozy linen couch covers and pillowcases. 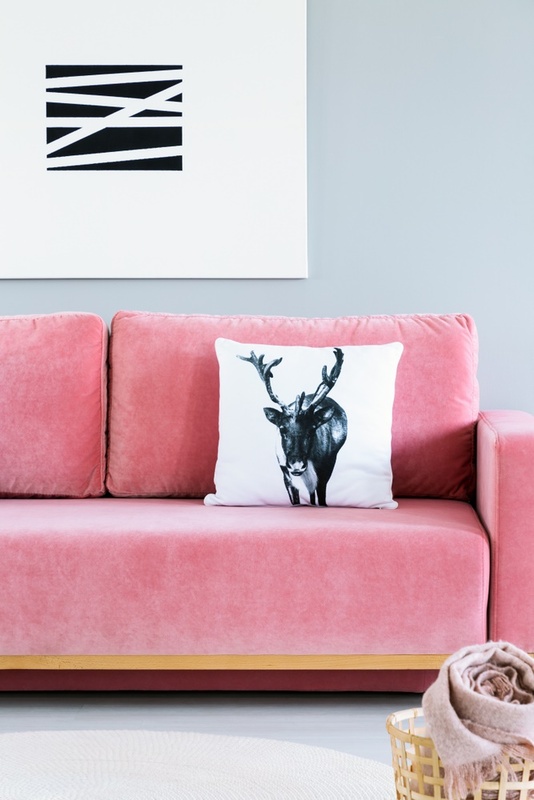 Change them to a brightly-coloured or boldly patterned throw pillow when you feel like accentuating the sofa. If you have a wood burning fireplace, consider storing the firewood next to it. It will accentuate the fireplace. Also, rearrange your furniture and face them towards the hearth. Do this when you like to have a spot for winter entertaining. Faux fur is another go-to winter decoration. Sheepskin rugs and blankets are on top of our list. Lay them on the floor or toss them over your couch to make your lounge warmer and cozier. Indoor plants are for all seasons. 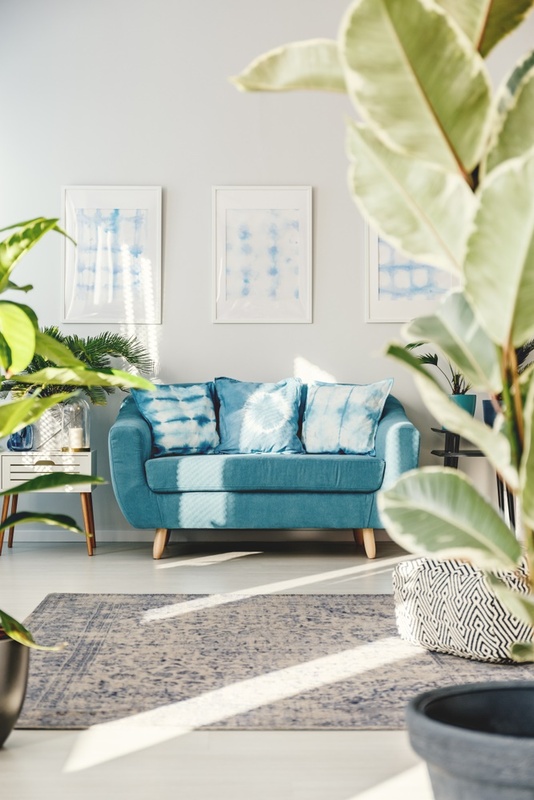 Give life to your minimalist interiors this winter with a dose of healthy, fresh, and green foliage. The trees and plants outside probably shed their leaves. A little greenery inside the house will make a huge difference. Bring out the softest beddings to make your bedroom more sleep-friendly. Layer the bedroom with different textures for added interest. Here, we used a cotton flannel bed sheet under a bunch of textured pillows. 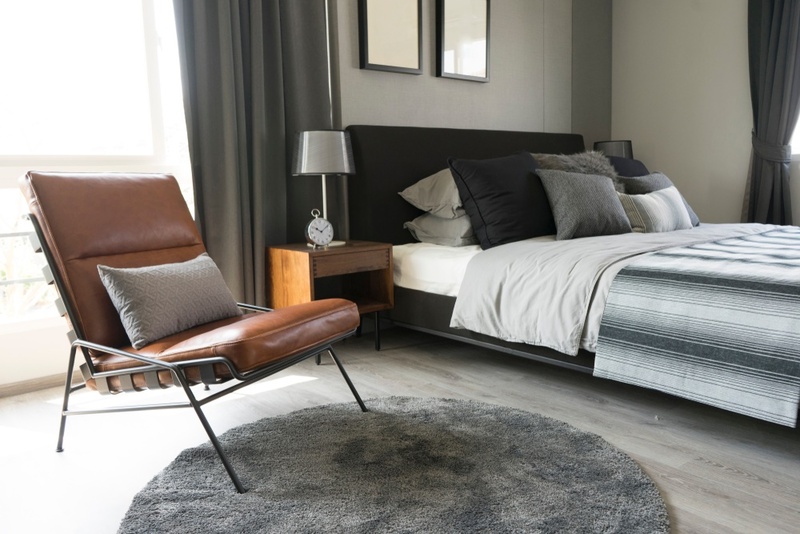 We placed a modern leather chair beside the bed and a fuzzy rug under it for a softer underfoot. Days are shorter this season and you want to get much winter sun to warm up your home. Skip the curtains when the sun is too strong. Maximise natural light using a large mirror (refer to the first photo). Light bounces off its reflective surface and will brighten the entire room. Use interior windows and glass dividers instead of solid walls. These allow the windowless rooms to borrow daylight from the adjacent room. 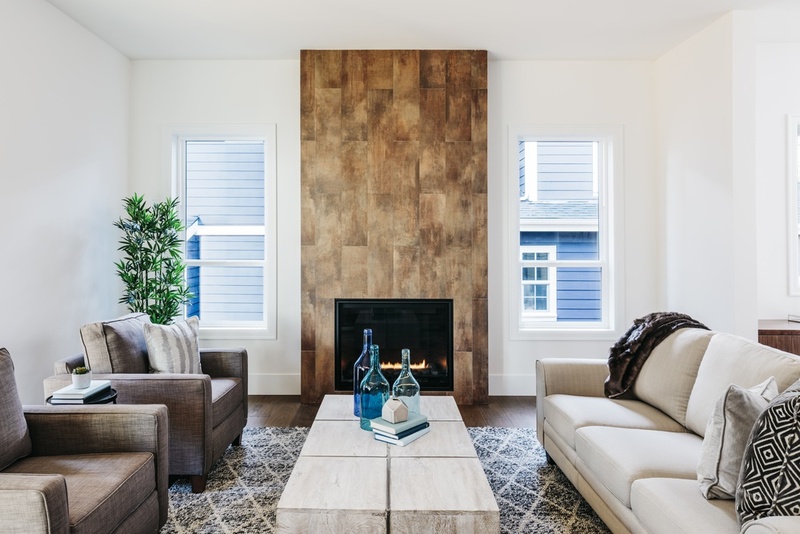 Daylighting must be complemented with warm downlighting. Layered lighting contributes to an ambient and dramatic room design. A velvet couch is a hip and trendy addition to your home. Its plush texture is perfect for winter — so luxurious and soft to touch. Here, we accentuated it with a printed linen throw pillow. Superdraft tip: The use of velvet sofas are ephemeral. So, feel free to interchange the materials. Use linen to upholster the sofa and accentuate it with velvet throw pillows. This option is ageless. You don’t need to put slipcovers on your dining chairs or dress the table with candles to make it cozy. Timber dining furniture sets like these naturally warm up the room. 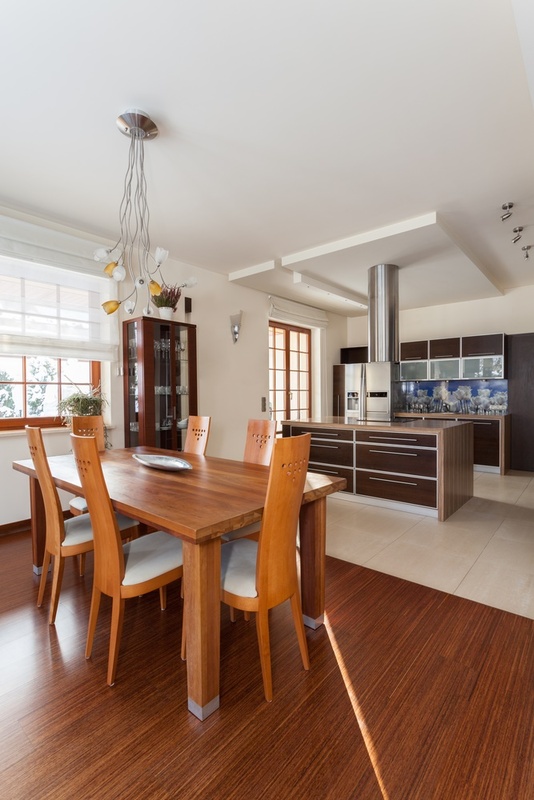 Having wooden floors heightens the effect. How did you find these winter decorating ideas? Which of these tips are you going to try first? You may also seek architectural home designers in the Gold Coast.